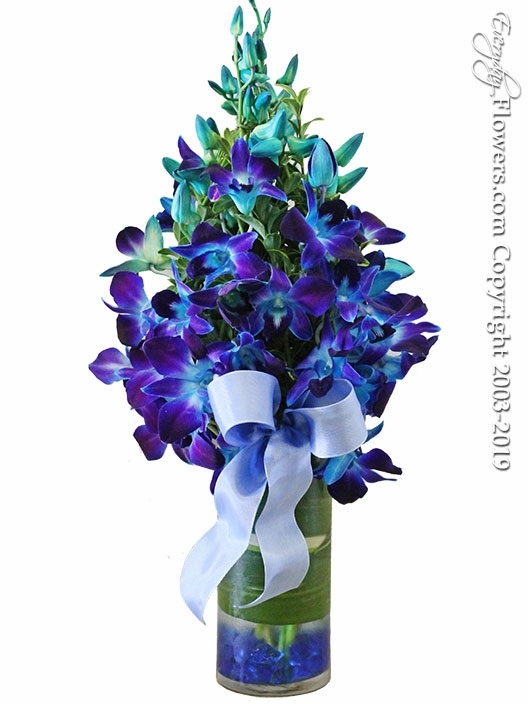 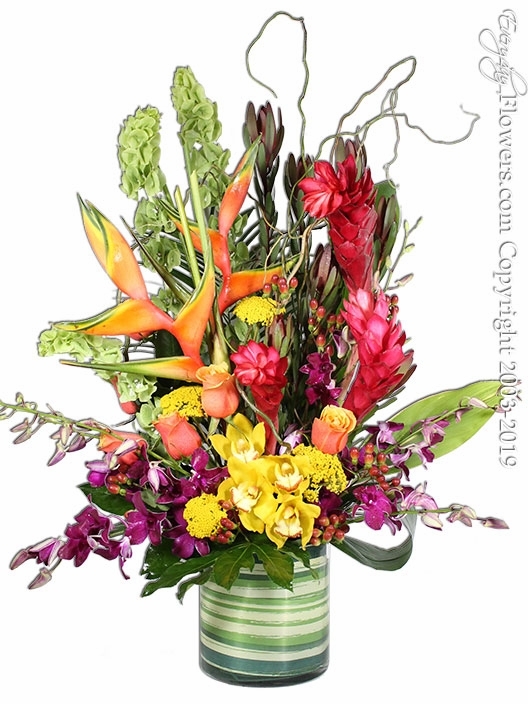 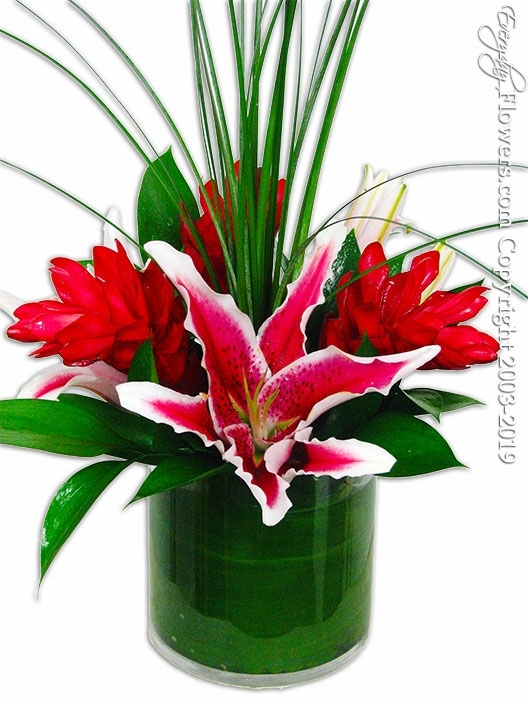 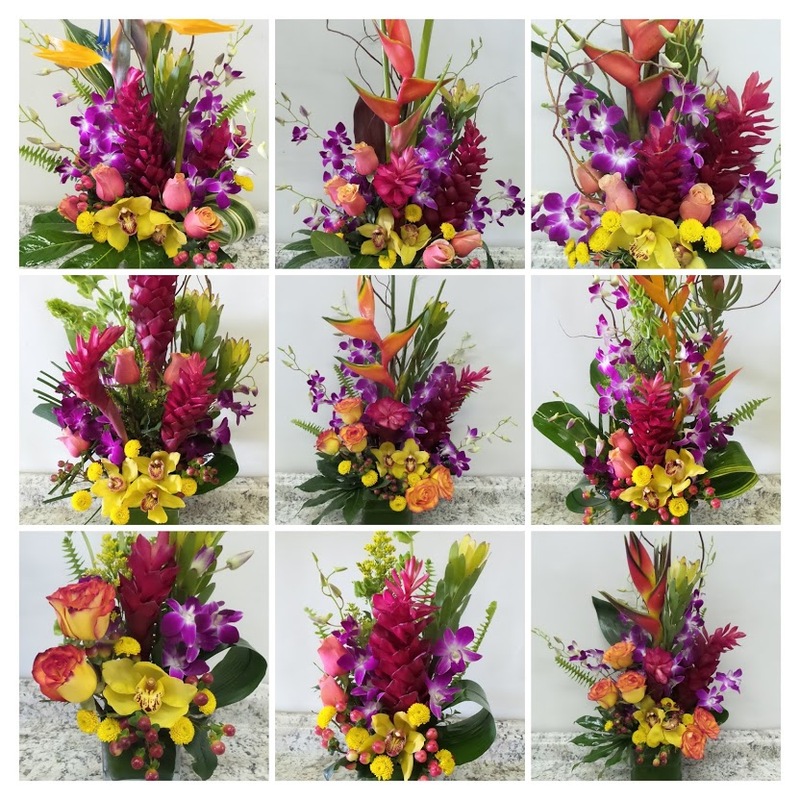 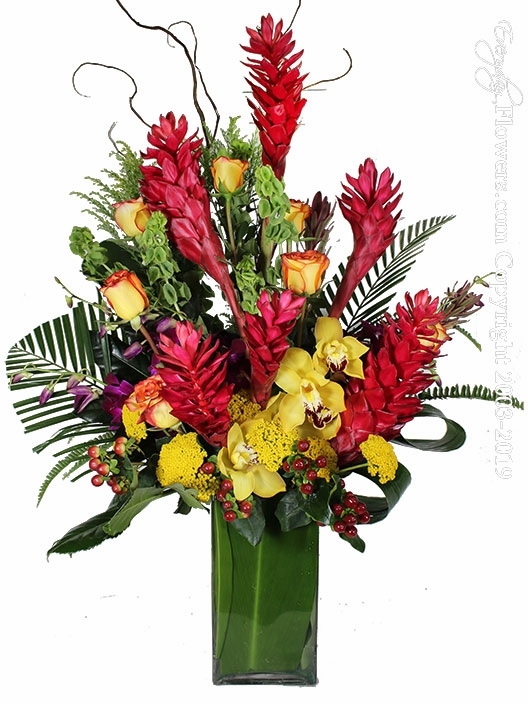 Order Exotic Tropical Flower Arrangements year round. 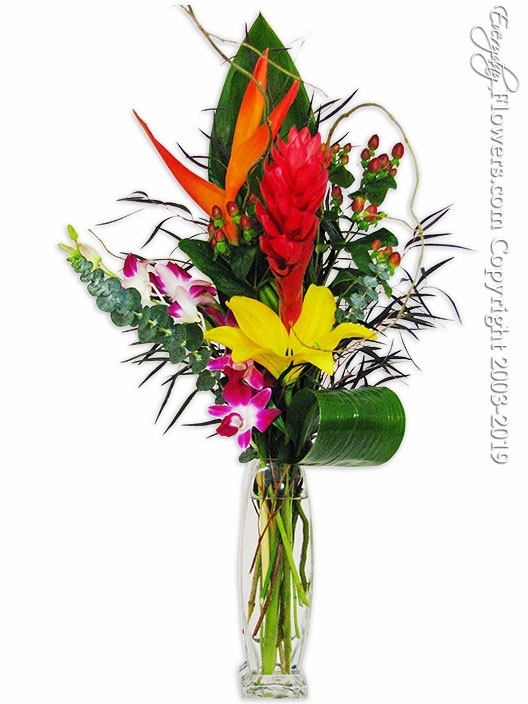 We carry Fresh Ginger Heliconia Orchids Including Dendrobium Orchids and Cymbidum Orchids Anthuriums Birds of Paradise and Protea. 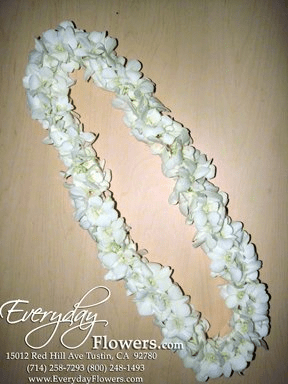 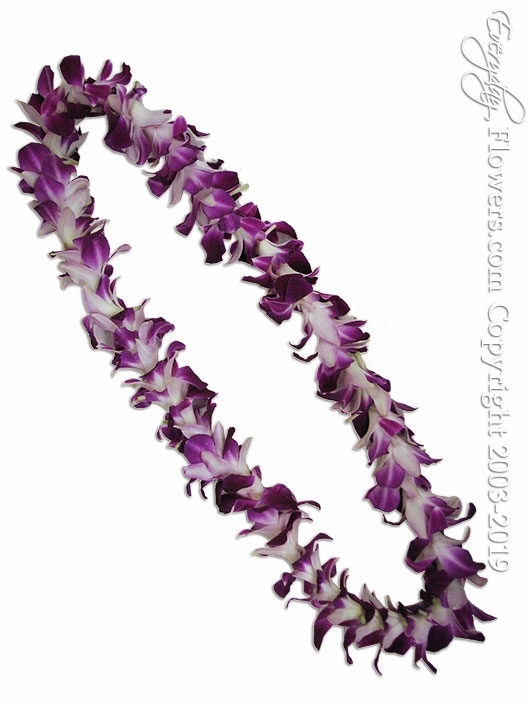 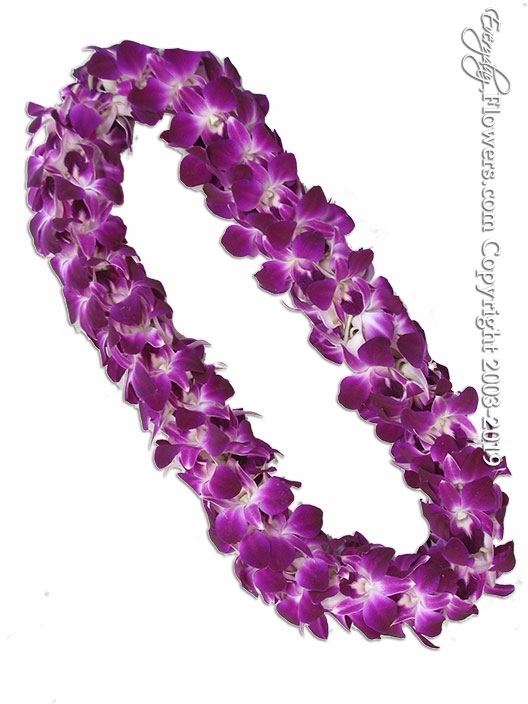 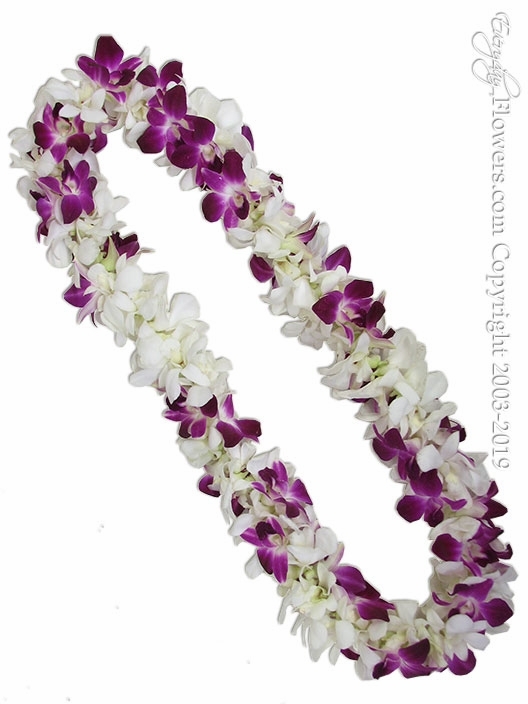 Hand made orchid leis are created in our store and are available year round. 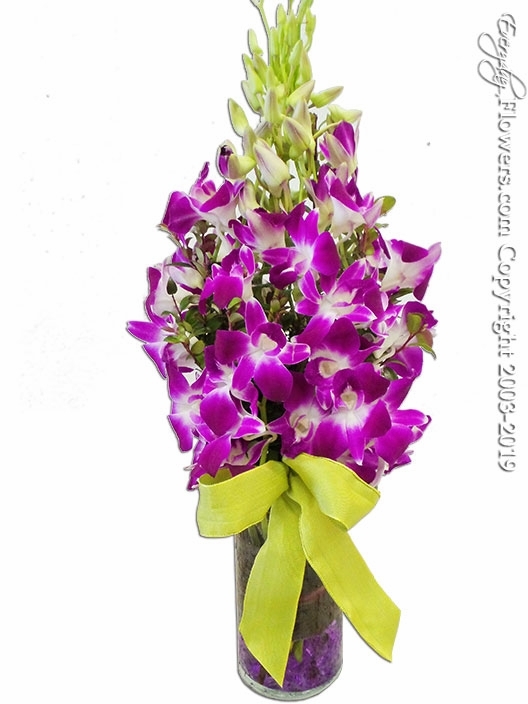 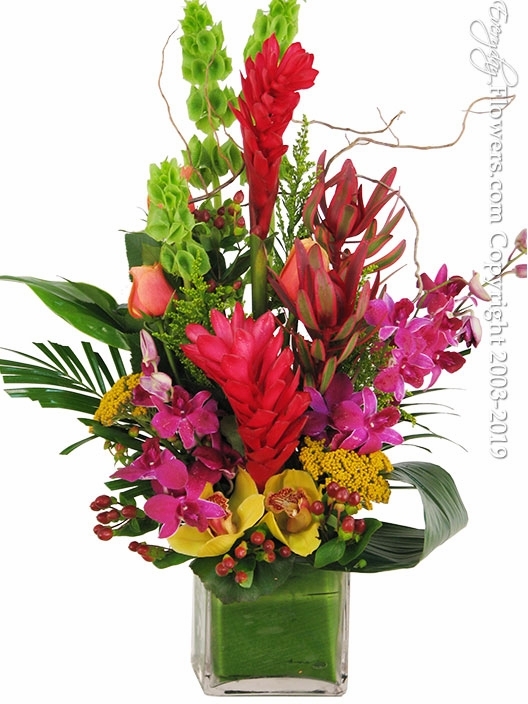 Our tropical arrangements are made with Red Ginger Heliconia and a variety of orchids such as Dendrobium Orchids and Cymbidium Orchids. 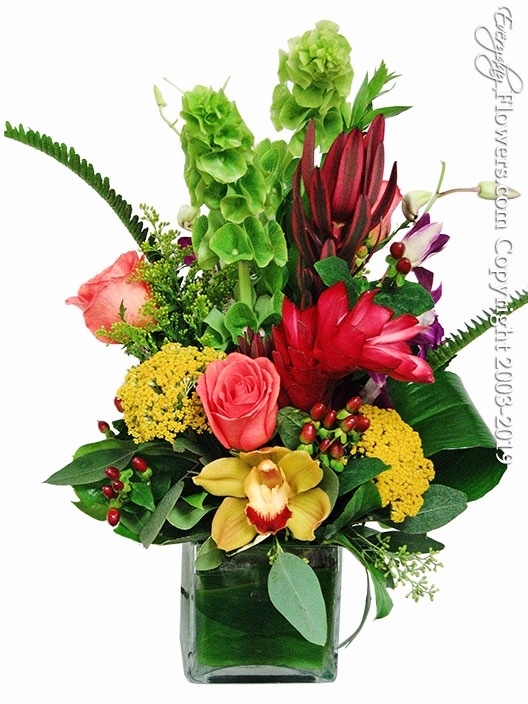 As always keeping plenty fresh water in your topical arrangement will help keep your flowers looking fresh. 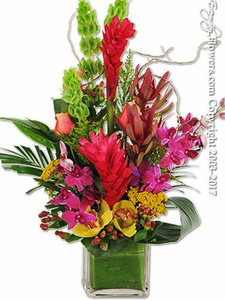 Since most tropical flowers are from humid and moist environments it is recommended to keep your arrangement from dry and hot conditions. 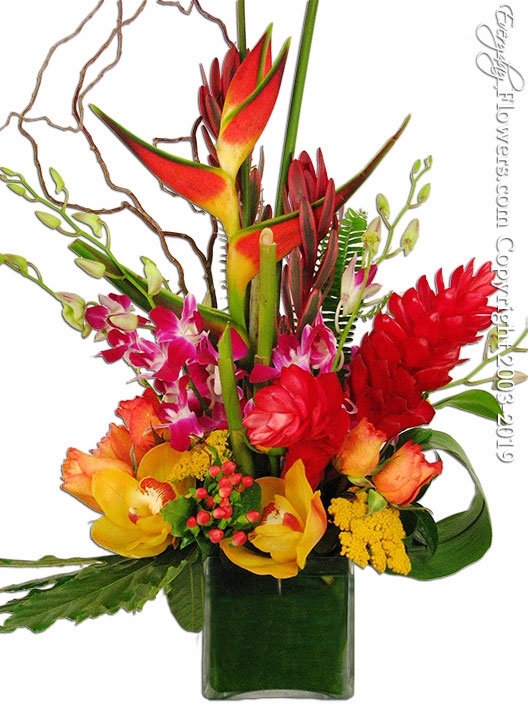 Lightly misting the ginger Heliconia and orchids will also help them last longer. 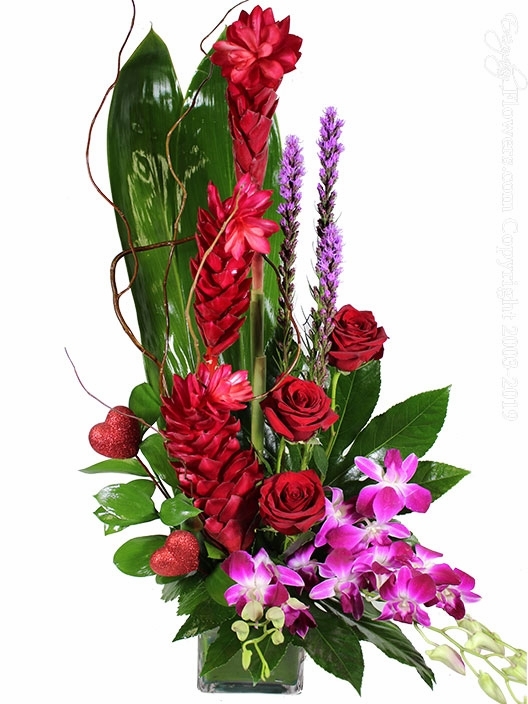 Since this flowers in their natural environment absorb water through the blooms as well as through the stem.